How will you influence your listeners to act on what you have to say? Whether you’re influencing through a presentation, meeting, sales call,conference call or face-to-face conversation, how you deliver determines whether others see you as credible, knowledgeable and trustworthy. Without doing this effectively, you inhibit your maximum potential to: influence, increase profits and cultivate long-term relationships. This highly interactive session will help you eliminate the static that plagues communicative delivery —to persuade, sell your ideas, influence or simply effectively communicate face-to-face with a clear message. We’re hearing a lot about corporate mentoring and with good reason: Comprehensive studies have shown that when training is followed by mentoring, productivity increases by 88 percent. The Art of Mentoring delivers lifelong strategic tools for improving productivity and the e ectiveness of both individuals and teams. What if every employee had the power to build relationships and win business? How much stronger would your company culture be? Stacey Hanke is author of the book; Influence Redefined…Be the Leader You Were Meant to Be, Monday to Monday®. She is also co-author of the book; Yes You Can! Everything You Need From A To Z To Influence Others To Take Action. 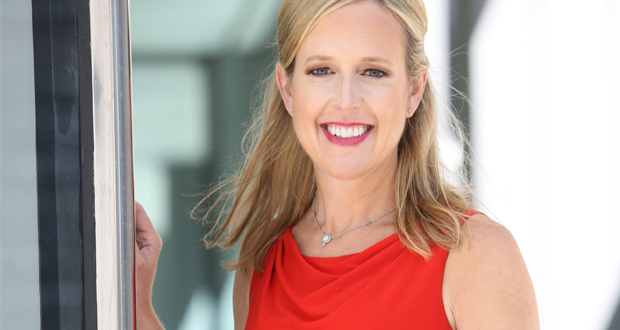 Stacey is founder of Stacey Hanke Inc. She has trained and presented to thousands to rid business leaders of bad body language habits and to choose words wisely in the financial industry to the healthcare industry to government and everyone in between. Her client list is vast from Coca-Cola, FedEx, Kohl’s, United States Army, Navy and Air Force, McDonald’s, Publicis Media, Nationwide, US Cellular, Pfizer, GE, General Mills and Abbvie. Her team works with Directors up to the C-Suite. In addition to her client list, she has been the Emcee for Tedx. She has inspired thousands as a featured guest on media outlets including; The New York Times, Forbes, Entrepreneur, Thrive, SmartMoney magazine, The Economist and Business Week. She is a Certified Speaking Professional—a valuable accreditation earned by less than 10% of speakers worldwide. --Credit Union National Association, Inc.